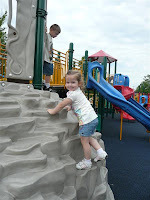 We had some time today to play today, so we found a park with a large playground. Here Jordan can be seen climbing around. No fear!